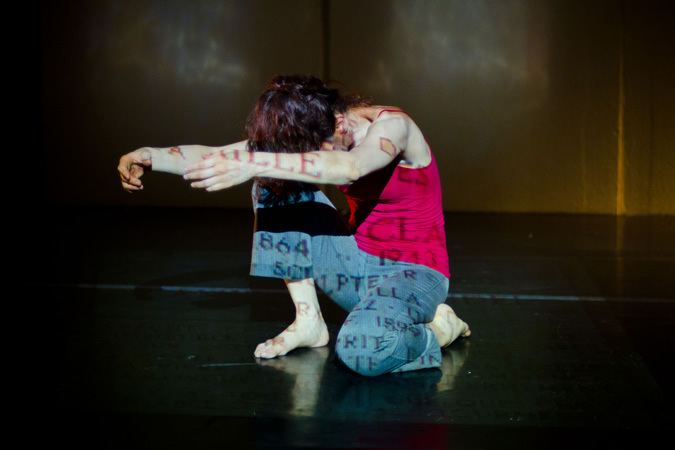 An original dance/theatre work produced by Le Théâtre la Tangente in collaboration with BoucharDanse. 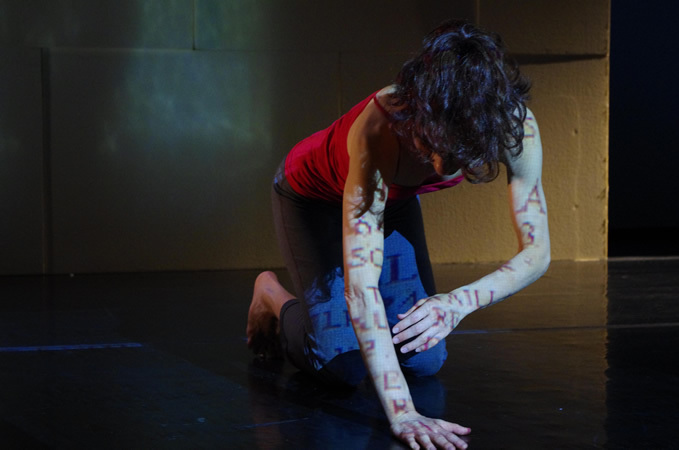 Presented at Theatre Glendon (Toronto) in June 2011, then at the National Arts Centre’s biennale festival Zones Théâtrales (Ottawa) in Septembre 2011 and at La Nouvelle Scène (Ottawa) in Octobre 2012. L’Implorante presents to the audience how an original work is created, in this case, a choreography. The protagonist is a choreographer finding inspiration for her work in the sculptures of Camille Claudel. Here we are putting together two forms of art seemingly in opposition, one based on movement (dance) and the other on immobility (sculpture). This theatre production project involving text, choreography, music and video, is based on an original idea by Claude Guilmain inspired by letters between Auguste Rodin and Camille Claudel. 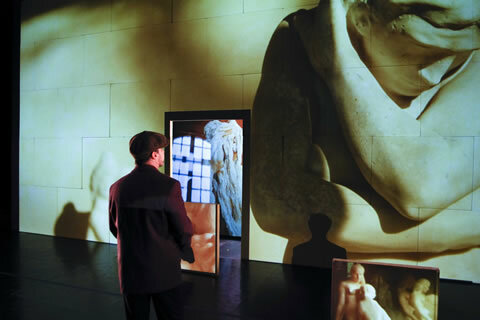 Four cameras, live video capture and projections (rear and front), voice overs, dance and no dialogue. 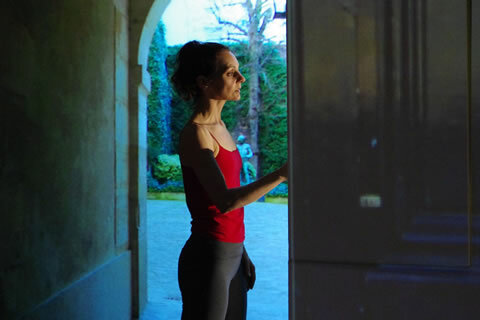 While on tour in Europe, a choreographer visits Le Musée Rodin in Paris. She comes upon an autobiographical sculpture by Camille Claudel, Rodin’s student and mistress, on her knees begging him not to leave her. The work so disturbs the choreographer that she becomes obsessed by the emotive power of the three characters in the work entitled “L’Âge mûr” and even more so by “L’Implorante” the third figure in the group. Desperate to understand the emotional charge within this sculpture, she begins a frantic search through Camille’s personal correspondence. She works on movements in suspension as Claudel worked on a piece of clay. Facial features emerge, a torso, then imploring hands. Absorbed in Camille’s quest to liberate from the earth a woman in her own image, the choreographer will find her own “self” through movement, accompanied by the voices from the letters Claudel had written to Rodin and Rodin to her. As she works on her latest choreography, the dancer begins confusing her own “self” with that of the sculptress, reliving the pain of a recent break up but by doing so, exorcising it.